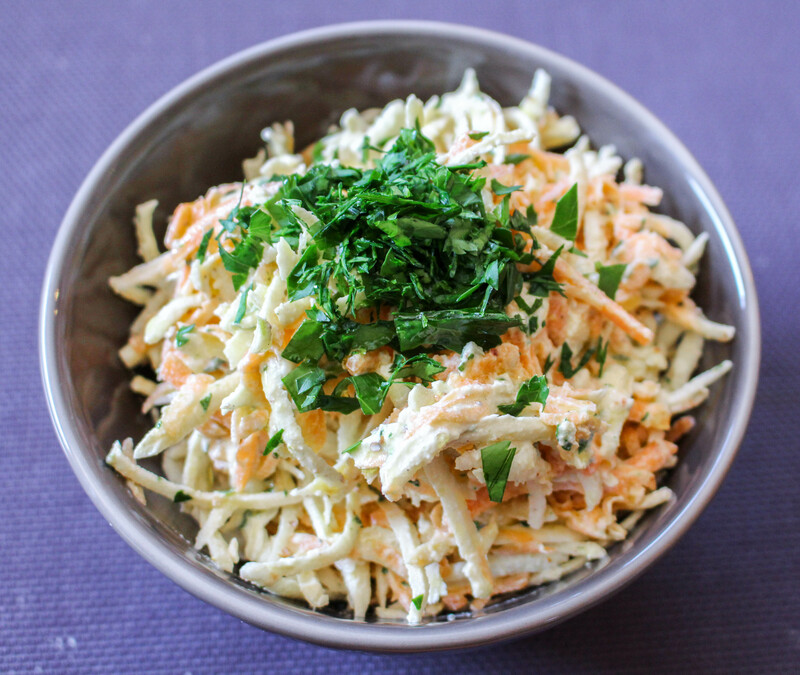 This raw, vegan dish is a twist on the classic French dish, Celeri Remoulade. Instead of making a mayonnaise to dress the vegetables, you make a sauce with cashews. As well as being delicious, this dish is high in plant-based protein, fibre and vitamins and is really easy to put together. Soak the cashews in cold water for a couple of hours. Grate the celeriac and carrot into a large bowl. Using a high speed blender blitz the cashews with about half of the soaking water until smooth. You may need to add more water if the cashew sauce is too thick. You’re looking for a loose mayonnaise consistency. Add the zest of the whole lemon and juice of half the lemon then the garlic, mustard, salt and pepper. Blitz one more time to combine well. Pour the cashew sauce over the grated vegetables then add the parsley and mix well. Check the seasoning then serve topped with more chopped parsley.